.. I’m starting to wish for summer – and the long days and beautiful sunsets that we have. I do love snow – I am just getting cold !! The snow ..the ice .. I’m ready for mud, bugs, flowers, and sitting with my dog watching the sun go down !! 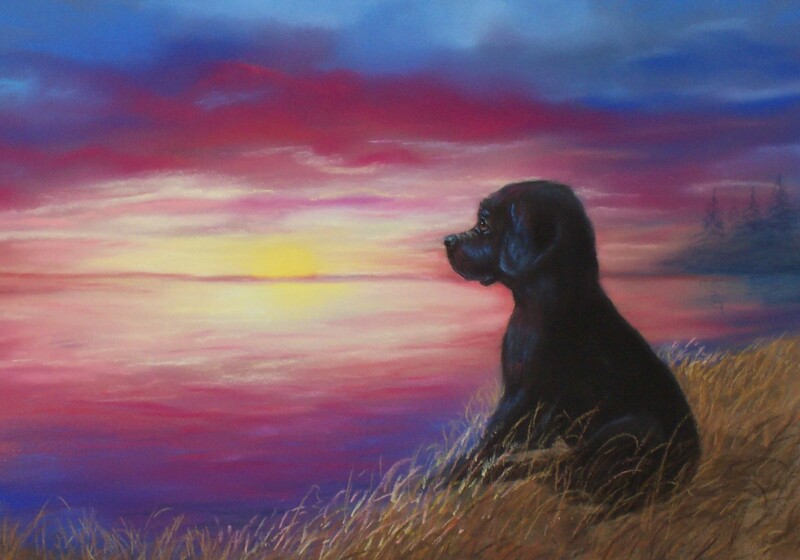 This is a pastel picture I did a few years ago – my dog loves to pose for me – and North Dakota blesses me with many great sunsets (and sunrises!!). I love getting my hands all messy and playing with all the colors in this picture ! Enjoy!! This entry was posted on February 12, 2011 by dakotablessings. It was filed under Uncategorized .